WordPress is hands down the first choice for web enthusiasts because it’s free, easy to use, customizable, SEO-ready, and has a host of plugins to help one get the sort of website they need. Add to that… everything positive written heard and experienced about WordPress, and it can often lead us to believe that nothing could ever go wrong. Given the rise in internet threats, WordPress websites are vulnerable to hacking attempts, data theft, and data loss. 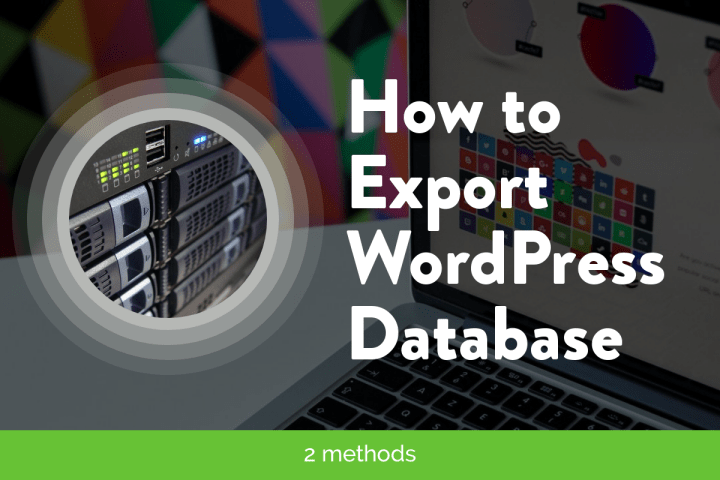 The ease of setting up and using a website on WordPress should not give way to complacency in taking a backup of your important data. 1. You Shouldn’t Compromise On Backups! a. You Insure Your Car… Why Not Your Website? c. Don’t Compromise On Content Safety! 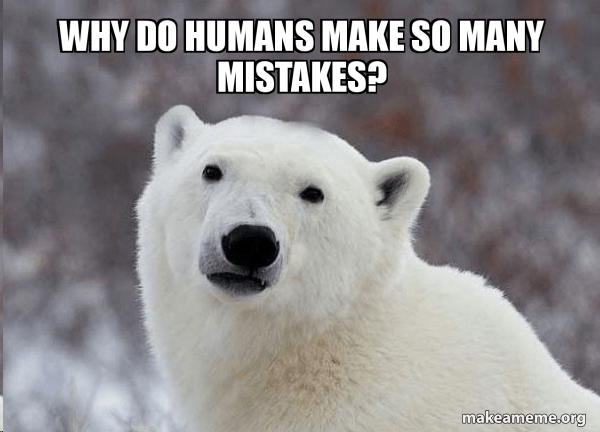 d. To Err Is Human… And That Is Why Backups Are Critical! c. You Are Pushed Back By At least 7.5 Days! 3. How Frequently Should You Backup? Prioritize website backups....get your Website Safety Net now! If you are taking every precaution to safeguard your site but not taking backups, then you are putting your site in harm’s way. Let’s elaborate on this further. Think of backing up your website as a sort of website insurance! Now, it’s not uncommon to assume that everything’s going to be okay and try to push the task of backing up of your WordPress site to the end of the list of priorities. But, prioritizing it can help save you the heartache of losing your data to some unforeseen circumstances. Think of it like taking an insurance policy! WordPress is the most popular CMS today, which makes it a favourite amongst spammers and hackers to target, making it all the more vulnerable. Hackers often inject some of their own code into your website to build backdoors. This enables them to perform functions like, accessing the site remotely or even sending emails which can get your website into trouble. Your site server will be blacklisted by major email services. And all this can happen without your knowledge. Even if you use a security plugin on your website, there is still the risk of a malicious script injecting a virus on to your website. But, when you have a website backup, you at least have something to control the damage! You can proceed to find the vulnerability that exposed your website to hackers, without losing much of your data! Customers in the past have often faced irregular downtime and server problems with some of the best WordPress hosting companies. No hosting company in the world can offer 100% uptime and reliability. Now imagine that you have been working on ramping up your website for a couple of weeks, and in the meantime have made plenty of changes. The server of your hosting company goes down just when you are about to make the final change and update. You could potentially lose a few days of work…!! Unfortunately, this is not a one-off case. There are many reasons for downtime in servers such as software errors, hard drive failures or a change in server structure. And in such situations, it helps to have a backup copy that reflects all the changes you have recently made. A WordPress backup plugin, that stores all your content remotely, so you can access them even when your site is down can come really handy in such times! WordPress backups also protect you from the malicious intentions of a hacker! Even if a hacker manages to hack your site and delete all its content, you know where you can find the files you need. This is especially true and useful if you have a blogging website. Not only are your blog’s articles safe, but also all the settings, plugins, themes, and widgets! Even experienced website owners can make mistakes. A simple mistake can cost you your data… For instance, you may have tweaked the core of your WordPress to make it more custom, or while manually running an update, you end up updating the wrong files! Even worse, you could end up accidentally deleting files — even if you are the most cautious person on the planet. In such cases, a backup of your entire website proves to be a life-saver. You could simply restore your site from its latest backed up version. Hosting providers offer WordPress backup services with their premium plans. In the event of a mishap, you can simply restore your website with a copy of the latest backup. But if you are not subscribed to a premium plan chances are that your website is not being backed up. If you are planning to switch to a higher plan with your web host to avail WordPress backups, hold it right there. Based on previous reports, it is safe to assume that one can’t solely rely on backups provided by hosting companies. 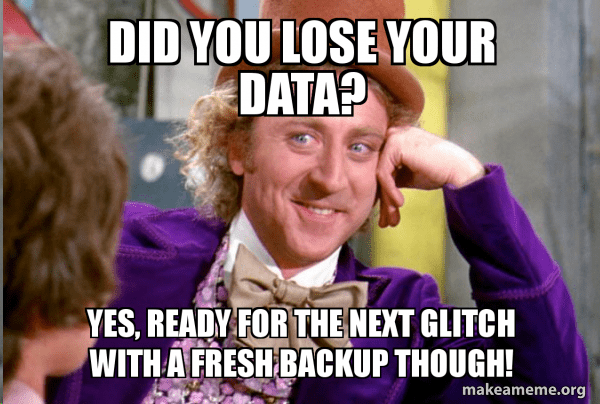 In the past, hosting companies have suffered hardware failure, power outages, amongst other things that could lead to a loss of website backups. So, how do you take care of this little hurdle? Simple… have a website backup process of your own! 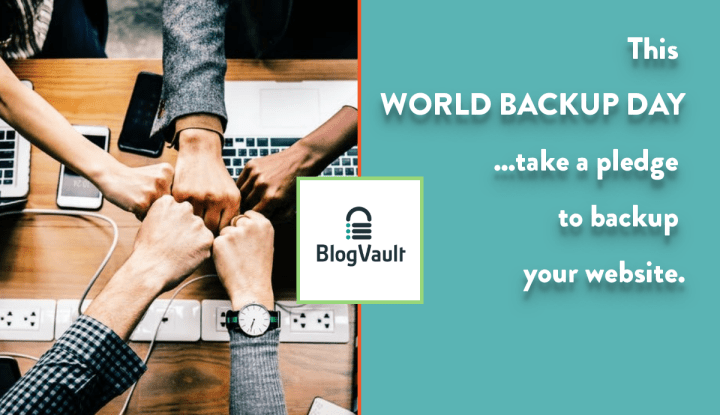 You can always use a plugin like BlogVault that offers reliable backups that are available even when your site isn’t! WordPress is often updated. The updates help improve the software by adding new features, fixing bugs and other issues. WordPress core not updated automatically. 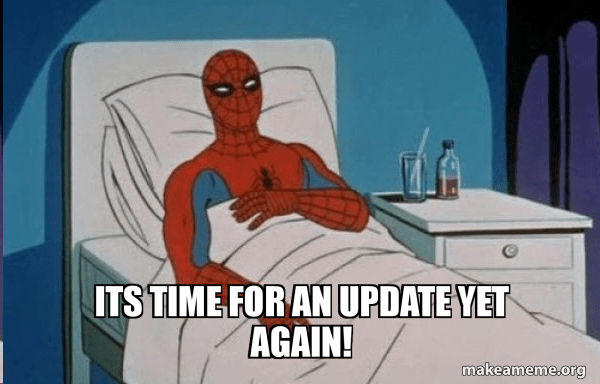 When developers push out an update, it’s up to the website owners to implement the update on their respective websites. But major WordPress updates comes with its own share of risk. For instance, the latest update may not be compatible with a plugin installed on your site, which may cause the site to break. For instance, the recent Gutenberg update, caused a lot of plugins to temporarily not work as desired and a lot of websites using visual editors found some issues with the way their pages were rendered. In such cases, you have a backup of your website, you simply have to restore it to the previous perfect version till you identify the problem. 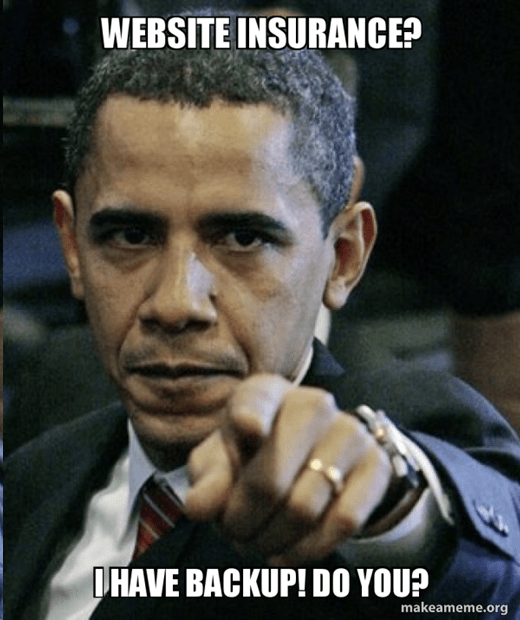 However, if your website backup is only 30 days old and doesn’t reflect the most recent changes or worst case, you don’t even have the backup of your website, you are going to be in BIG trouble! So, if you don’t back up, well… there’s trouble! You can lose your precious website. If your website is hacked, the absence of a website backup can slow down the recovery process. Of course, having a backup is not the final solution to a hacked website – you will need a plugin to clean up malware and sort out other vulnerabilities. Having a backup is just a good way to keep your website from going entirely kaput! Hacked websites suffer long term search ranking penalties. This means that if Google notices that your website is hacked, it starts to flag it as Not Secured. Moreover, you stand to lose your ranking as Google bots will push your website further down in the rankings or not show it at all. You can avoid this threat with a WordPress backup – having one simply helps you step on the road to recovery faster. You can at least get back some semblance of normality by restoring the backup, and then proceed to address the other issues with the website. In one of the surveys conducted by PictureandWord.co.uk, respondents were asked how many days it took them to restore their websites to normal following a hack, out of which 40.9% were able to restore their site to normal within a day. This was plainly owing to the fact that they had a backup of their website, which the attacker had not compromised! 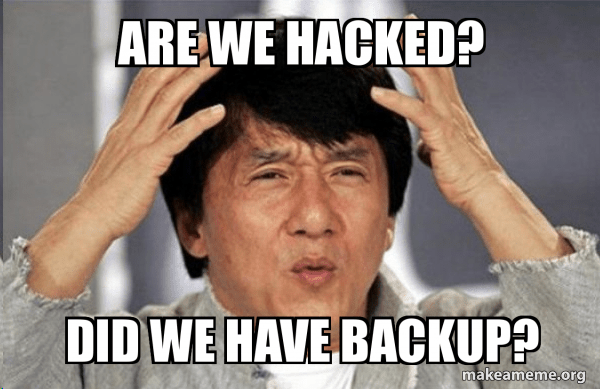 The average time to recover from a hacked website is 7.49 days if there is no website backup available! Imagine the amount and time lost behind getting things back to normal. If your website has been grievously hacked, damage control might take a while. You might need to take your website offline until everything is restored, which might make your invisible to potential customers. After all, a non-functioning website can be a big turnoff for someone who wants to employ your services! Having a WordPress backup in such situations makes the whole process of recovery faster! If you are an online store, you stand to lose your transactions and client information. This is the heart and soul of your online store and it needs to be protected and backed up with unfailing consistency and regularity. 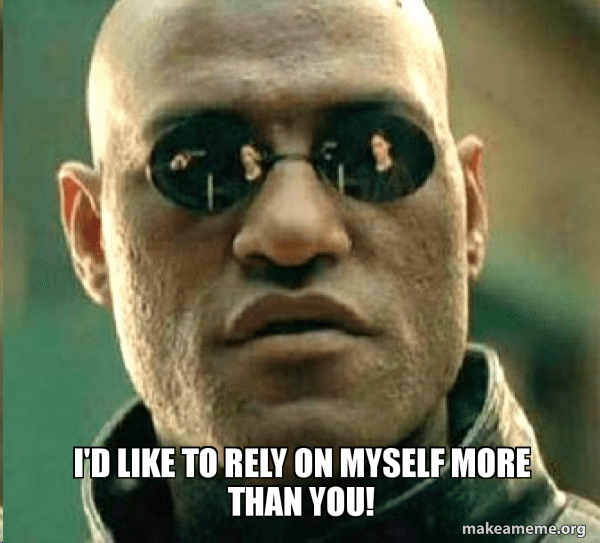 We’d Say As Often As Possible! Daily website backups are ideal of most websites. But for busy websites, backing up multiple times throughout the day is not uncommon. And as for website that is not much active, weekly backups should be sufficient enough. Taking WordPress backups is easy. It can be automated and even scheduled. 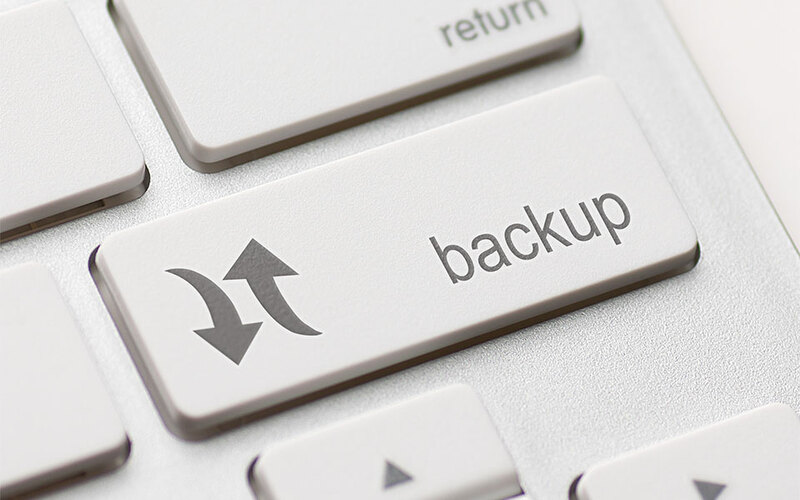 Having a daily backup routine will minimize data loss when you restore your WordPress site. 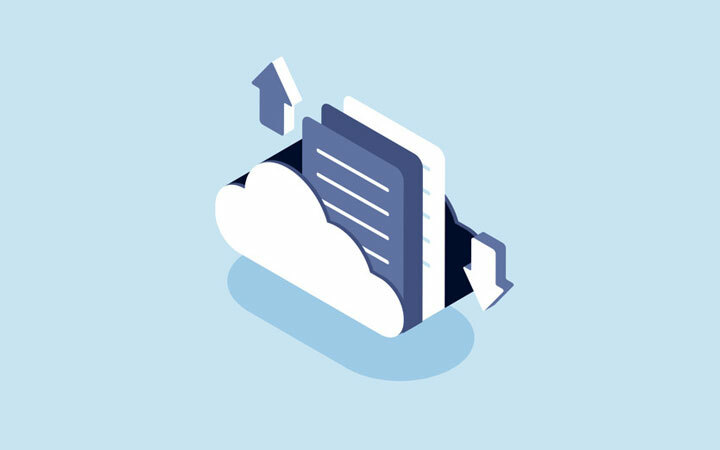 If you are worried about the impact on your website while backing up your WordPress website, choose a backup service that offers zero-load incremental backups! You may have a successful website… But, unless you back it up regularly, you may be dealing with a ticking timebomb that could backfire on you any moment. Prioritize website backups….get your Website Safety Net now!